If there’s one thing that Argentines are crazy about aside from asado, it’s football and the one team that Porteños fanatically support, it’s the Club Atletico Boca Juniors. My husband is a Boca Juniors fan and so is his older brother who even has a box at Boca Juniors home stadium La Bombonera . La Bombonera is located in the colourful neighborhood of La Boca which is a major sightseeing stop on any Buenos Aires city tour. 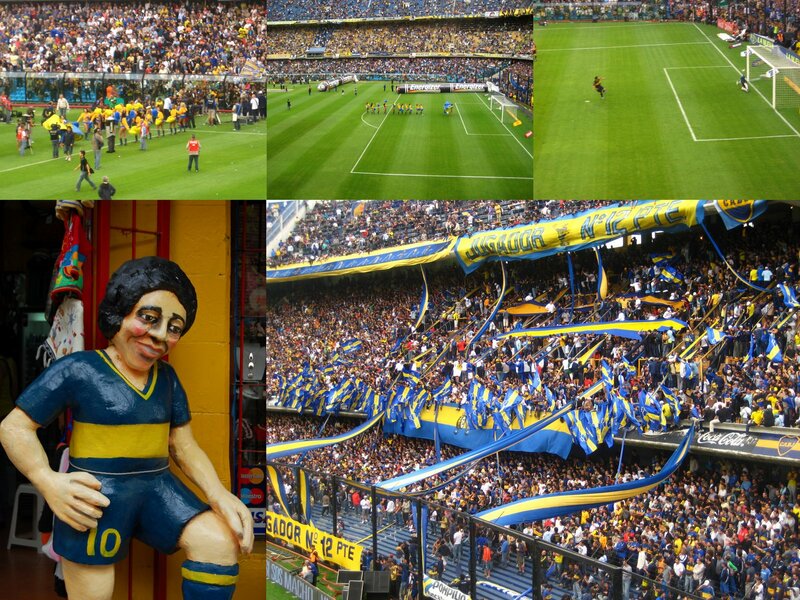 The game last Sunday was Boca Juniors against Racing another local football club and tickets were very difficult to come by but my brother-in-law was able to wrangle an extra ticket for my husband who immediately decided to bring our six-year old son along. It was my son’s first time to watch a live football game and what an experience it was. They headed off early for the big game dressed in casual clothes and hyped up to see the action live on the pitch. As I couldn’t join them, I went for dinner instead with my sister, her husband, his brother and my one and a half year-old niece to my favorite parrilla restaurant El Mirasol. During our meal, I asked the waiter the score and was happy to hear that Boca Juniors was winning 2-1. After our fantastic dinner, we walked home and a few minutes after the boys arrived ecstatic with Boca Juniors win having eaten Patys (hamburgers) and panchos (hotdogs). Next time, I may join them to see what it’s like and also to get a chance to try some of those famous choripans (grilled Chorizos on baguette).